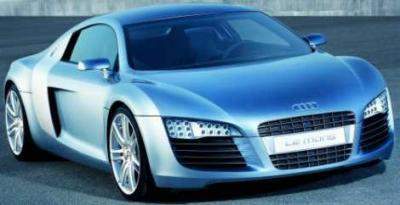 Audi and Lamborghini both belong to the Volkswagen Group. What does that mean? An Audi supercar. 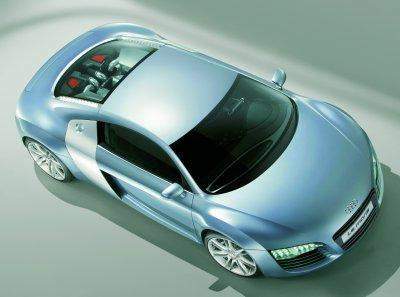 Set to compete with the Ferrari F430 and the Aston Martin DB9, the new Audi supercar will be designed the Audi R9. It will share the same genes with the Lamborghini Gallardo but it will be slightly larger than the Gallardo. The Audi R9 will be powered by two differnet engines. The entry-level R9 will be powered by the same 4.2 litre V8 unit found in the Audi RS4. This naturally aspirated motor makes 310 kW at 8250rpm and 430Nm of torque at 5500rpm. Power from this V8 will be put to the wheels by either a 6-speed standard manual transmission or a DSG sequential manual gearbox. The higher end model will use the 5 litre V10 found in a Gallardo but tuned differently to produce more torque but less horsepower. This engine will be paired with Lamborghini’s e-Gear sequential-shift gearbox. 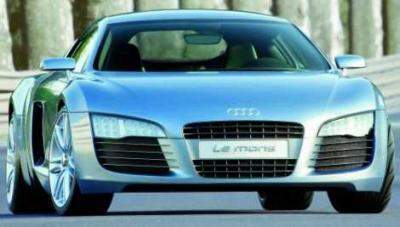 The Audi R9 is expected to be ready for production and debut in 2007. Update: Audi has officially announced this car as the Audi R8. Details here.